In celebration of the University of Nebraska–Lincoln’s 150th year, we’re joining Huskers worldwide as we Glow Big Red on Thursday, February 14. What’s Glow Big Red? It’s a day when Husker Nation shows up and shows out. 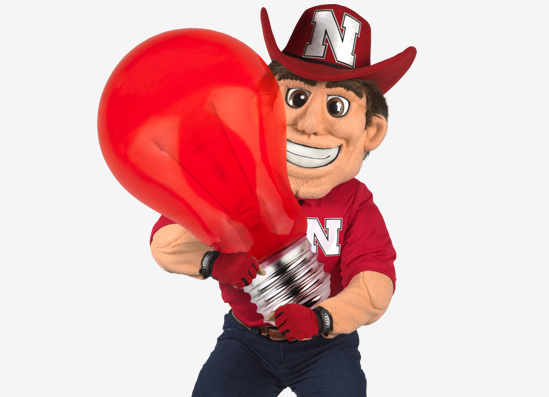 You can light your home Husker red, fly your Husker flag, wear Husker gear and support students with a gift to to the CoB Start Something N Fund in the University of Nebraska Foundation inaugural 24 Hours of Husker Giving. Join students, faculty and staff in celebrating our shared Husker pride and the kickoff to the inaugural 24 Hours of Husker Giving, which begins online at noon on Thursday and runs through noon on Friday, February 15. Glow Big Red and its 24 Hours of Husker Giving will take place for the first time from noon, February 14 to noon, February 15. 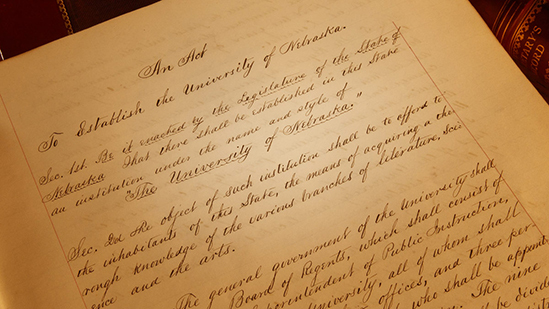 Check out the many events planned to celebrate 150 years as the University of Nebraska–Lincoln and Charter Week, February 11-15.